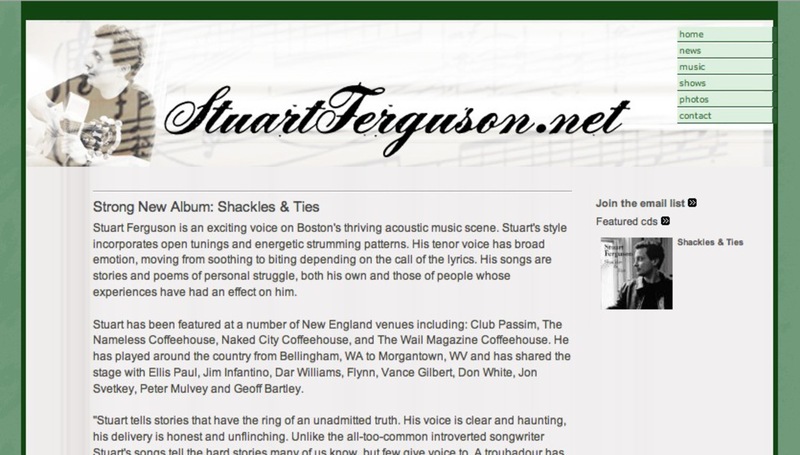 A good friend & great musician - needed to be able to update his site quickly and easily. We created an initial design and he let us know that there was not enough green. We greened it up for him.